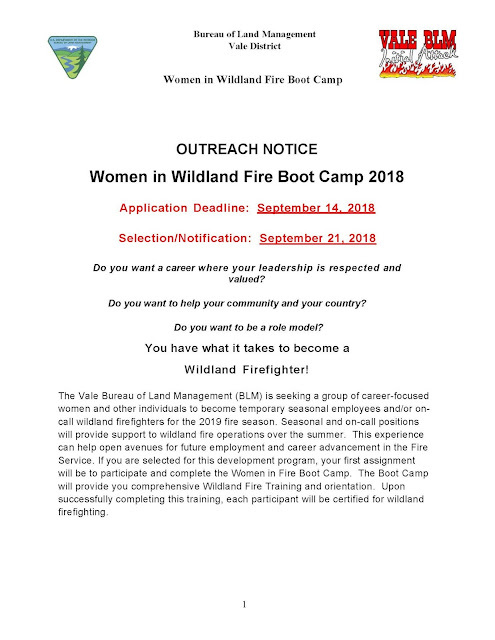 Cool opportunity being hosted by our neighbors! 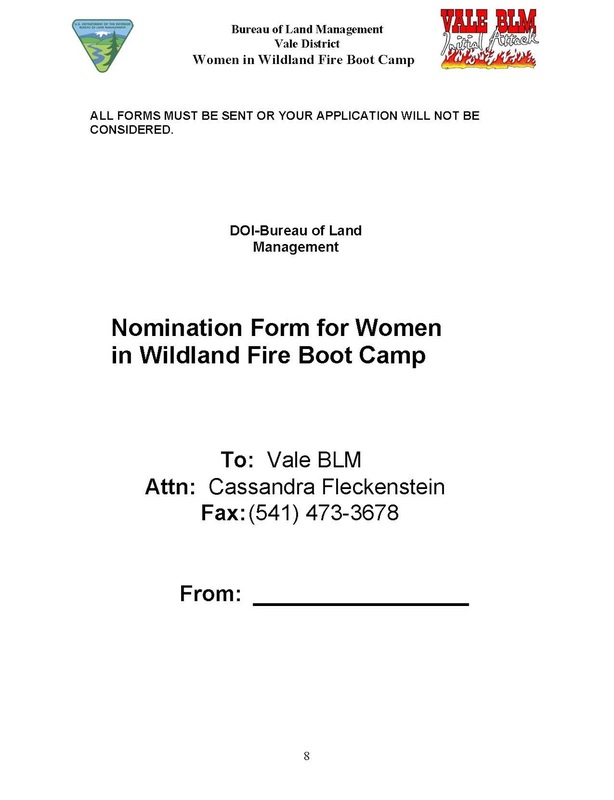 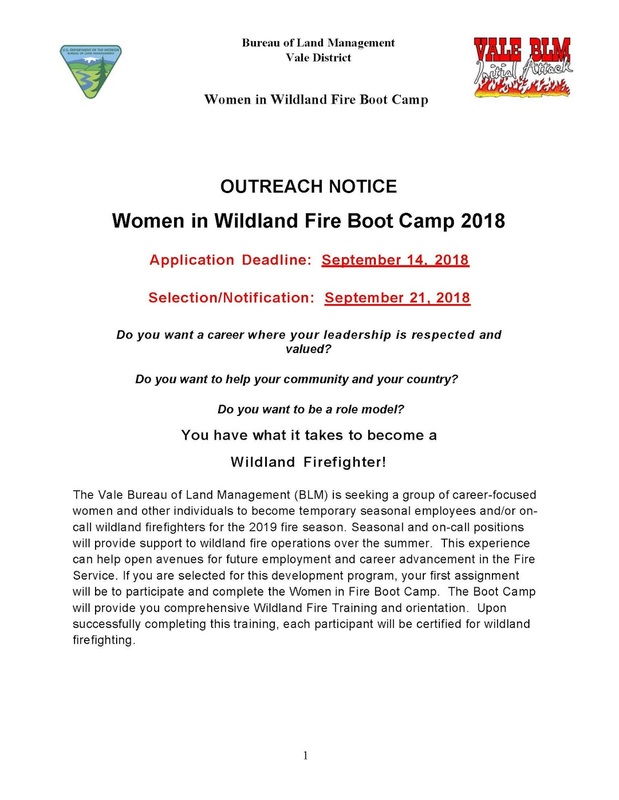 VALE, Ore. – The Vale District of the Bureau of Land Management (BLM) is committed to keeping public landscapes healthy and productive and is offering paid training for women interested in a career in wildland fire management. 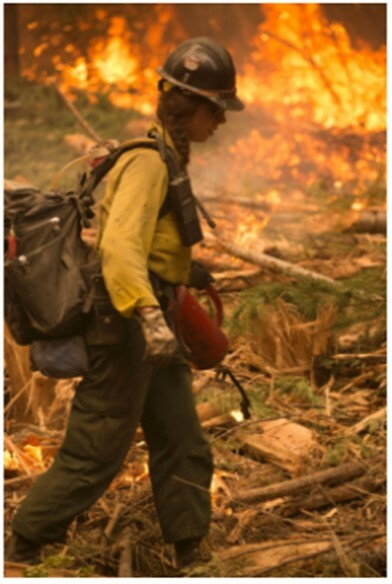 In addition to controlling and suppressing wildfires that threaten communities and natural resources, wildland firefighters play a key role in using fire strategically to manage sustainable, working public lands. 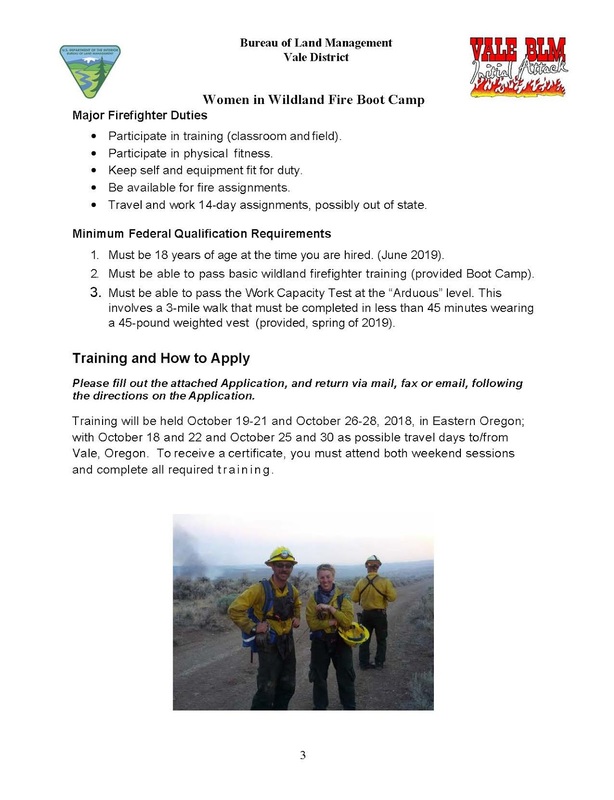 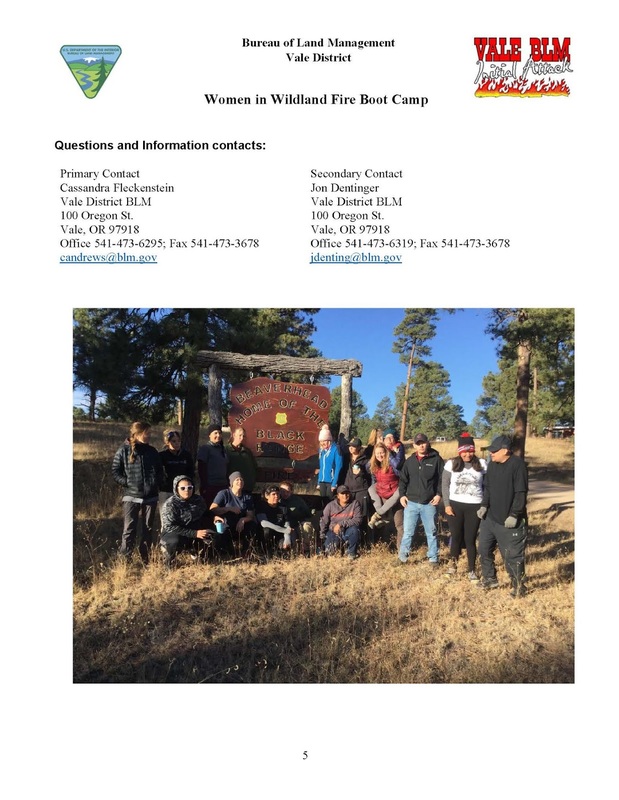 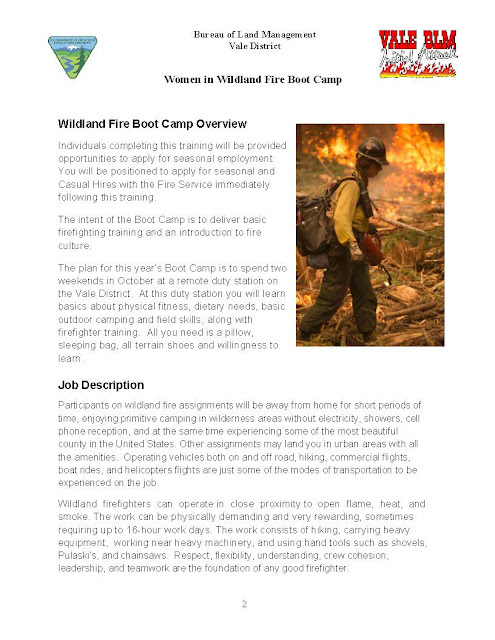 Upon completion of the Women in Wildland Fire Boot Camp, participants will have fulfilled several key entry-level training requirements for seasonal employment by federal agencies or private contractors. 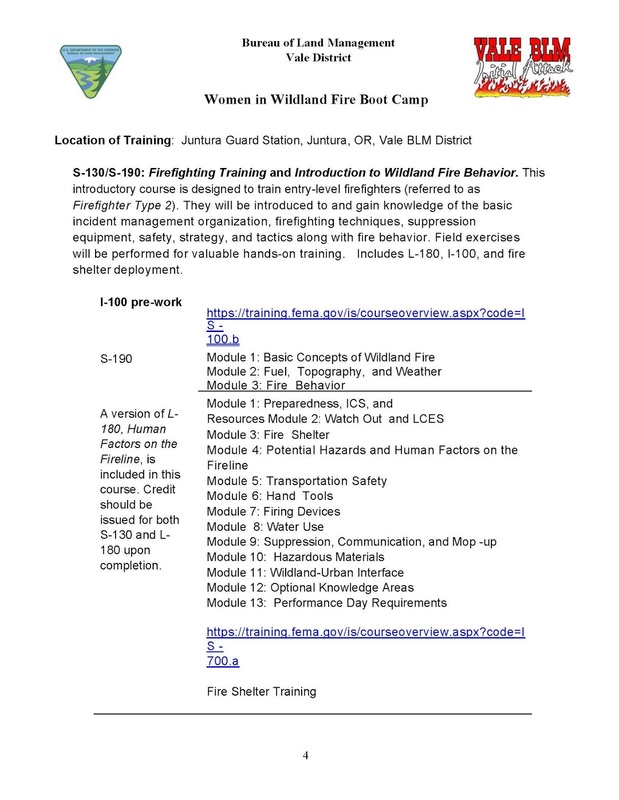 Training is a combination of classroom instruction and hands-on field exercises ranging from firefighting techniques, tools and equipment to communications and safety. Applications will be accepted through Sept. 14 and selections will be made by Sept. 21. 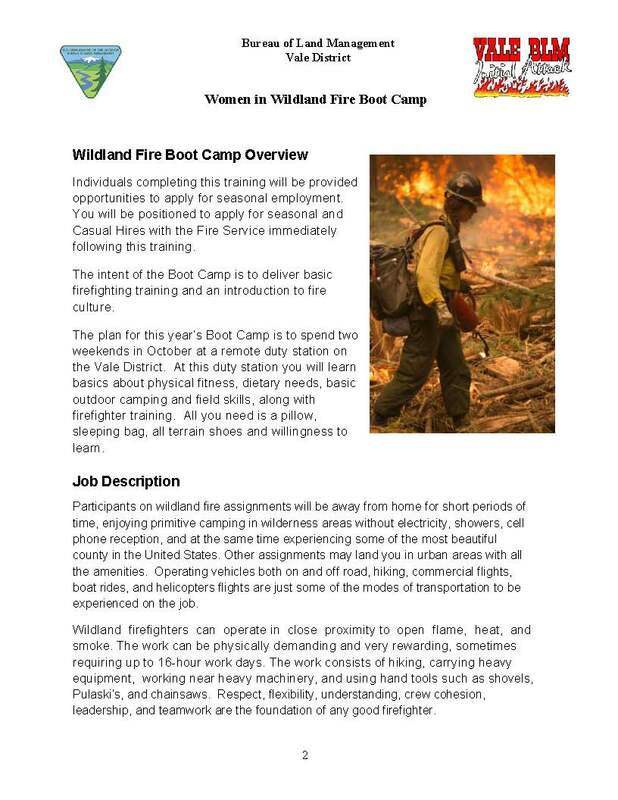 The boot camp will be held near Juntura, Ore., over two consecutive weekends, October 19-21 and October 26-28. 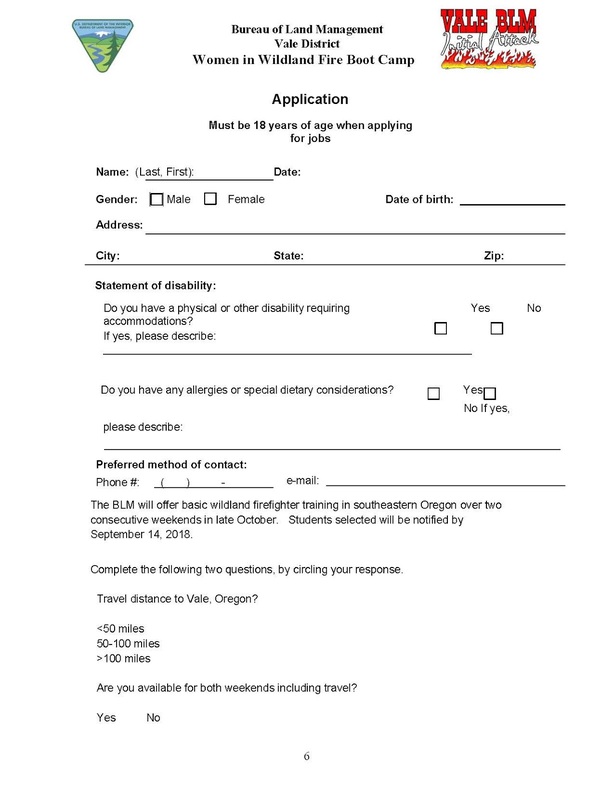 Students will be paid for their time at camp, Application deadline is September 14th. 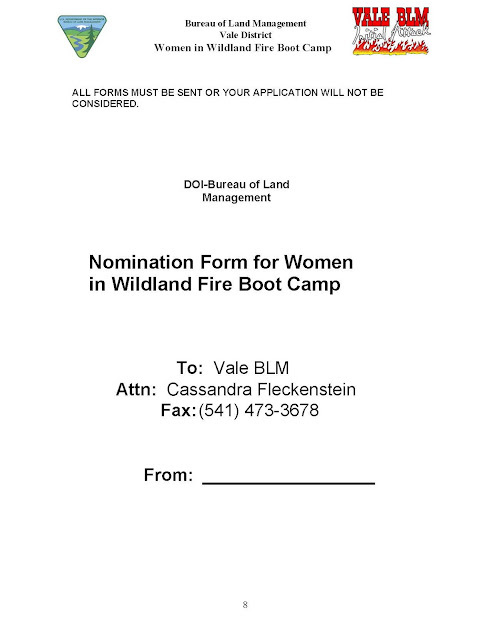 Selections will be made by September 21st. Students will be paid $12.74 per hour for training time. 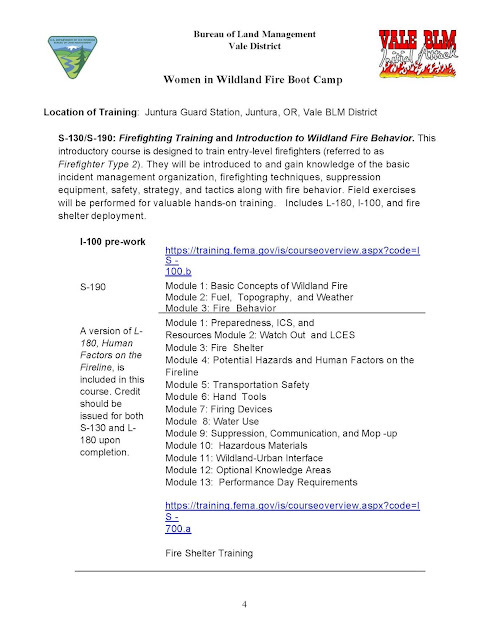 Training materials, personal protective equipment and meals will be provided. 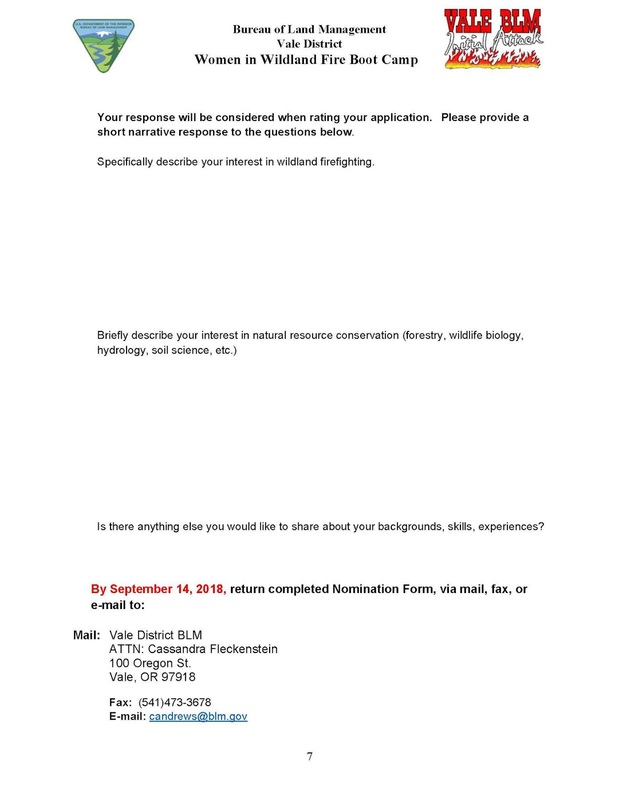 The complete outreach notice and application can be requested by calling 541-473-6297 or emailing candrews@blm.gov For more information, contact Cassandra Fleckenstein at 541-473-6295.